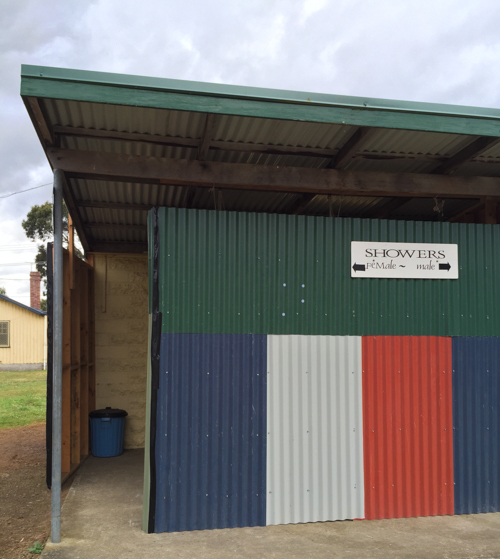 These temporary showers have been set up adjacent to the existing toilet block. 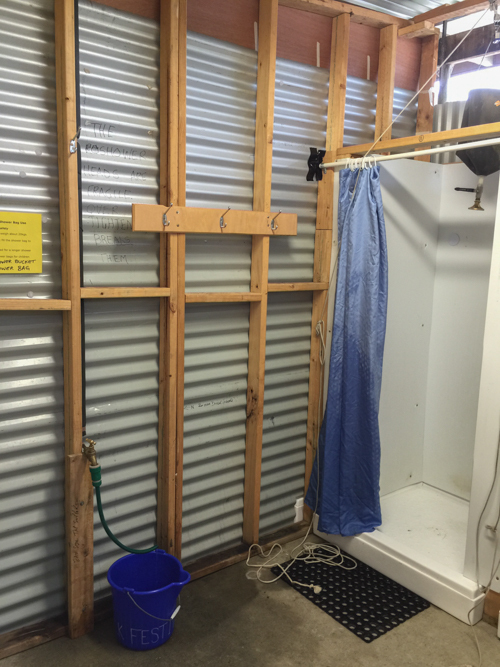 Each piece of the shower structure can be easily assembled and disassembled by volunteers. It's a pretty simple set up. There are three shower cubicles and a hot-water source. 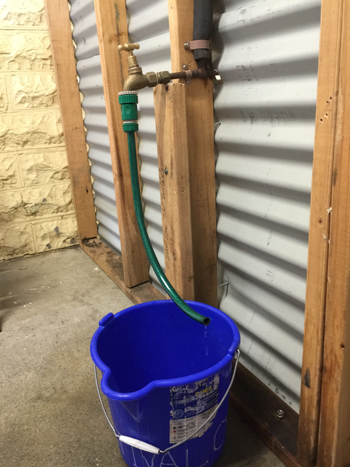 The hot water comes from an electric instantaneous hot-water system around the back and is piped through to this tap. However, this beauty of this set-up is that it would work just as well with an off-grid, fire- or gas-operated hot-water system. The shower is a canvas bag with a showerhead attached. 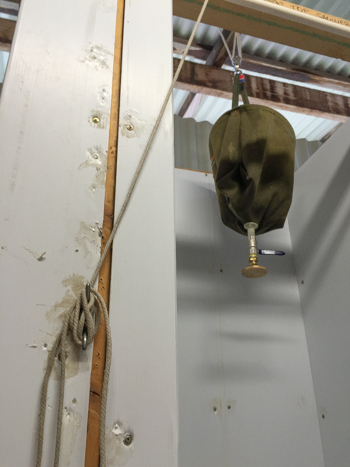 It's rigged with a simple pulley and rope system that is easy to raise and lower. 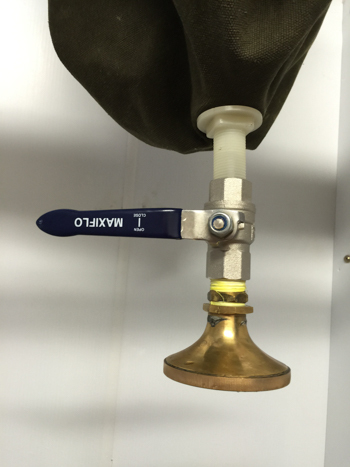 A few modifications have been made to the showerhead attachment. Last year I noticed that the standard showerhead that comes with the canvas bag couldn't handle the pressure of so many eager clients. 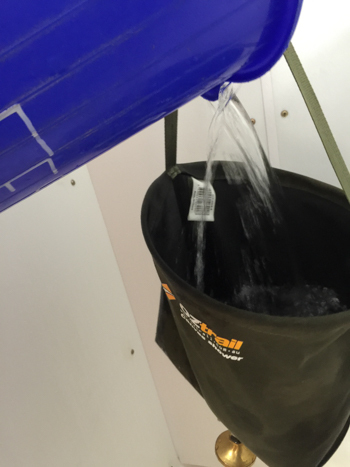 After undoing the rope and lowering the shower-bag, a bucket of hot water is tipped into the canvas bucket. 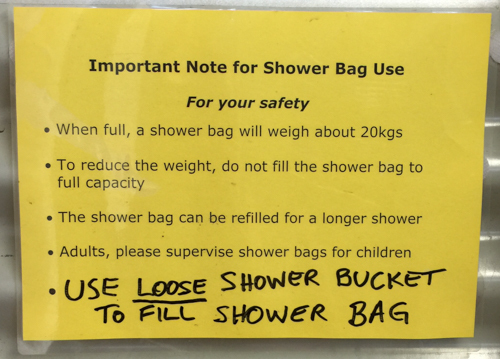 Then then shower-bag is raised again and ready for use! A simple set of instructions is all that's necessary. the first year we had them, one got nicked, which we figured was the sign of an effective / appreciated system!